The talk was for my opening of my solo exhibition and I’m not sure what happened. I do know that I was exhausted, not grounded, hadn’t practiced, and weirdly felt people would judge me (even though most of them were friends). The result was a jumbled mix of words, thoughts and nervousness. What I do know is I didn’t follow my golden rules. As you probably know, it took a lot of courage for me to step into the spotlight (if you don’t, watch my TEDx about this journey). Along the way I have developed key steps to public speaking. I think the most important thing is to grow from the obstacles on your path and find wisdom through their solutions. And always – always – treat yourself with love and care. I want to shed light on an issue that impacts women stepping into the spotlight. The all male speaker line up at conferences and panels. Frankly, it annoys the hell out of me. Considering how many amazing women there are who want to speak – and are experts – there is simply no excuse for an all male line up. I have questioned organisers and added comments to their social media feed. Often, there is no response or they falsely claim “there are no suitable women to fill any of the speaking slots”. When women don’t get to speak at conferences and panels it means that not only does the audience get a narrow perspective, women don’t get the public profile building opportunity that comes with being on the stage. Proactively pitch yourself as a speaker to event and conference organisers. Don’t wait to be asked, go make it happen. 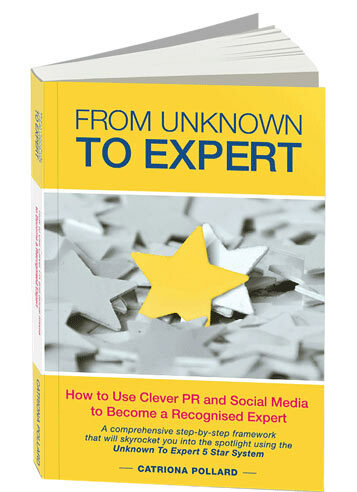 Write your speakers profile including what you can speak about and start sending it out. (Check out mine as an example). 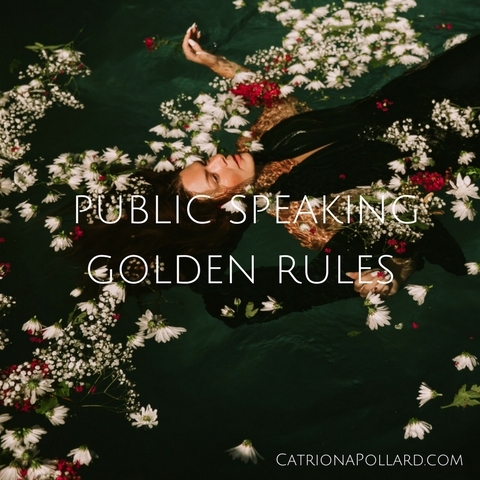 I have very publicly talked about how I overcame my fear of public speaking by getting coaching and saying “yes” to as many opportunities as possible. So if you don’t think you know enough, or are not good enough – go find people to help you with your confidence and speaking skills. If you notice opportunities that aren’t right for you, then forward them to women who may be. Sounds simple. 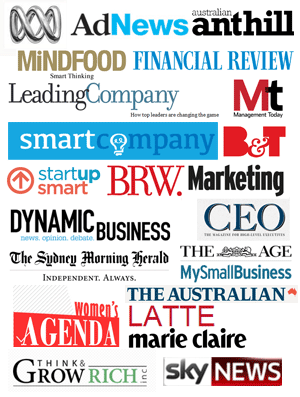 But if you’re organising a conference or event then ask around for names of great female presenters. Ask other speakers, women’s groups or Google past conferences. They are out there; you just have to find them. Let organisers know that all male panels aren’t OK. If you see it, call them out. If you are a bloke, and get asked to speak at an all male event or panel, take the Panel Pledge. If you notice any send your photos or screen shots to “All Male Panels” Tumblr. I look forward to seeing more women sharing their voice with world. “Do you have children?” I get asked this question often. The answer is no, and I never talk about it publicly. 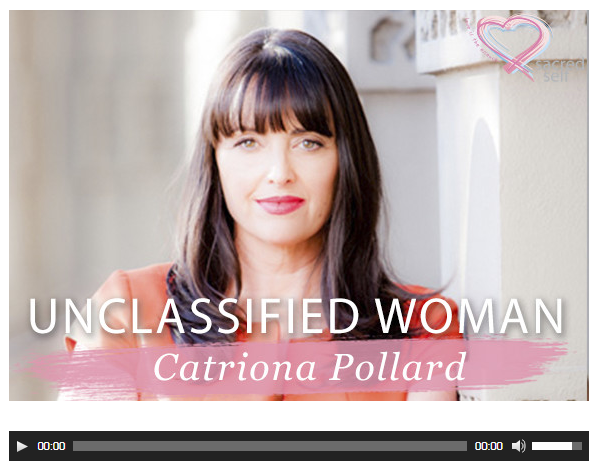 When Michelle McGrath from the podcast Unclassified Woman asked to interview me, I had to think seriously about it. It’s a very important topic – but just very personal. I never imaged my life without children. But here I am living one. 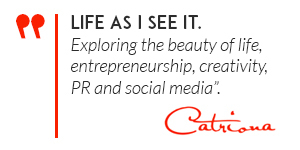 I decided to do the interview, and share very honestly because I know my story will resonate with so many women. We live in a pro-natal society where so much of – well everything – is centred around family. We don’t talk about the women who are living lives outside that “norm”. 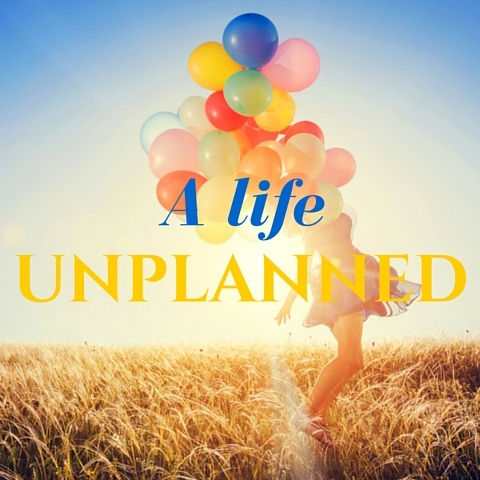 In this interview, I talk about how we can live a life we didn’t plan for – a life that doesn’t involve children when we thought we would have them. Do you keep sitting in the loss or do you use it in ways to propel yourself forward? 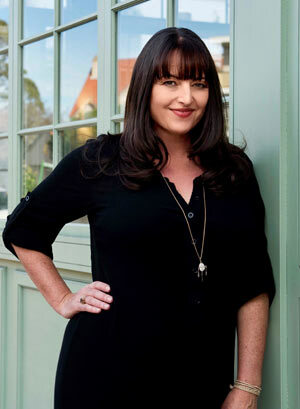 In the interview I discussed how I never imagined my life without a child, and when the realisation came that I would not be a mother, I went through a six year grieving process. I share how I decided I should not sit in sadness, but see this as an opportunity, a blank canvas where I could be who ever I want to be. I wanted to fill that canvas with as much life and colour as possible. What is my life going to be? What are the positives about my circumstances? I worked on my business, wrote a book, started stepping into my spotlight and doing more public speaking. I also pursued my creative side and focused on my art of weaving and sculptural basketry. Today, I completely determine what my life is, who I am, and what I want to do. I know that many people in the world don’t have the chance to enjoy life and make something beautiful from it. I’d love to hear about your experiences about “otherhood”. Click on the podcast below to listen to the full interview. A friend of mine is finishing off her Yoga Teacher Training Diploma, and the other day she had the decision whether to say YES or NO to a spotlight moment. While she has done yoga for years, she has never professionally taught it. Needless to say it’s pretty daunting to teach people something where they may get injured – and she has never had to stand in front of people to teach anything before. Oh, and did I mention, she is over 60 years old, and learning with a bunch of young things. Amazing! These are the spotlight moments I talk about all of the time. You can say yes or you can say no. So imagine her situation. She has very little experience in teaching yoga, and only practiced teaching with a small group of friends. Here were 18 people staring at her, waiting for her answer. She had done no prep, so if she said yes, she would have to think on her feet. If she screwed up it would impact her confidence and how the people in the class thought about her. What do you think her answer was, yes or no? 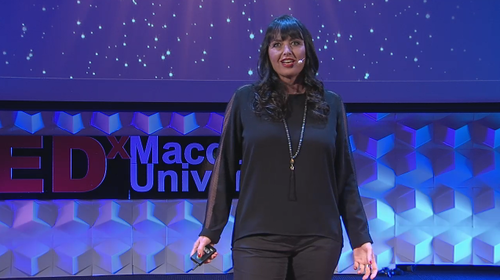 When she recounted the story to me, she said my TEDx talk about “Being open to Yes” flashed in front of her eyes. Even though I wasn’t there, I was willing her on. She thought – I’m going to say YES! Filled with trepidation, a bit of anxiety, and huge amount of bravery, she walked to the front of the class and taught her first yoga class. And when it finished, she received a round of applause with people asking her to run more classes. If she hadn’t said yes, she would still not know her capability as a yoga teacher or have the opportunity to share her beautiful energy with the class. In my experience saying that first yes is like letting the genie out of the bottle. It can lead to many yeses that are full of magic and wonder. Yes can open up opportunities you never even dreamed of. So I’ll leave you with a question. 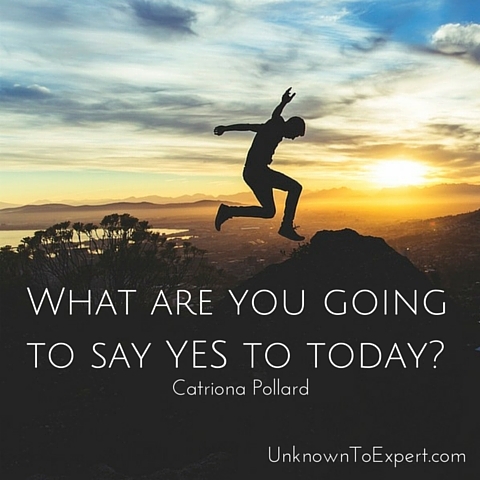 What are you going to say yes to today?